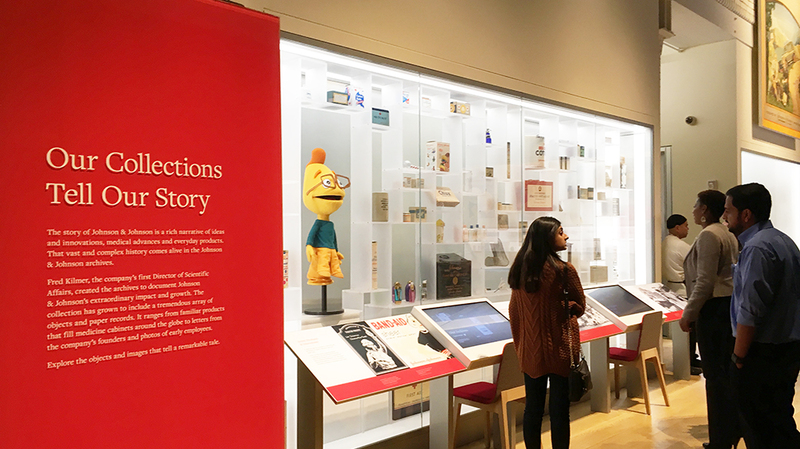 Drexel Business Solutions Institute (DBSI) and Drexel Alumni Association held an event at Johnson & Johnson’s interactive museum themed “Our Story at the Powerhouse” on Jan. 31. Built in 1907, the Powerhouse is the oldest building on the company’s global headquarters campus in New Brunswick, N.J. It showcases the remarkable people and ideas behind the world’s largest healthcare company. The Powerhouse does this through a multisensorial approach that combines storytelling and immersive experiences including smell and touch. 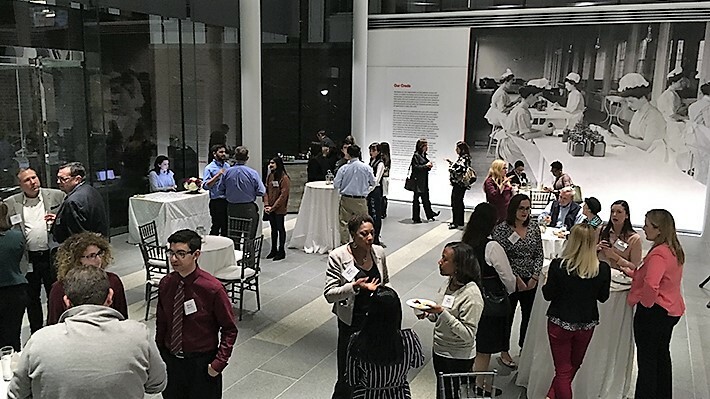 The event was a fitting conclusion to Johnson & Johnson’s monthlong engagement with the University’s community at-large as Drexel’s Corporate Partner of the Month for January. Remarks were made by Drexel’s Assistant Vice President of Alumni Relations Lauren Villanueva, and LeBow College of Business Assistant Clinical Professor Dr. Brad Sodowick, who spoke about trends in the pharmaceutical industry and academia’s reaction to those trends. Double Dragon Bruce Pashko, Sr., Director of Corporate IT Assurance, gave remarks about Johnson & Johnson’s impressive history and innovative future. The event was attended by more than 40 Drexel University alumni. Several months a year, Drexel University highlights key corporate partners who have engaged with the University in certain key areas including executive education, experiential learning projects, research collaboration, talent acquisition, and more. The Corporate Partner of the Month program, managed by the Drexel Business Solutions Institute, occurs October through May to coincide with Drexel University’s academic calendar and invites industry to campus to directly connect to the Drexel University community in a variety of creative engagements throughout the month. The monthly programming is custom-created in partnership with our identified corporate partner and is designed to provide undergraduate and graduate students and alumni with insight into the company. The month’s activities aim to showcase the company through increased engagement and to provide access to engage with Drexel’s thought leadership, talent pipeline and research capabilities. We seek companies like Johnson & Johnson, whose deep and impactful history is matched by its innovative foresight into the future of the pharmaceutical industry. Learn more about Corporate Partner of the Month. Johnson & Johnson is LeBow’s Corporate Partner for the month of January.